A polished nickel-finished, split disc pendulum swings behind—and is visible in the gap of—the two wood planks. The Clocks Otto Driftwood Floor Clock by Howard Miller at HomeWorld Furniture in the Hawaii, Oahu, Hilo, Kona, Maui area. Product availability may vary. Contact us for the most current availability on this product. Pendulum Description A polished nickel-finished, split disc pendulum swings behind—and is visible in the gap of—the two wood planks. Wood & Finish This unique floor clock design combines two rustic live edge wood slabs with contemporary polished nickel-finished metal accents. 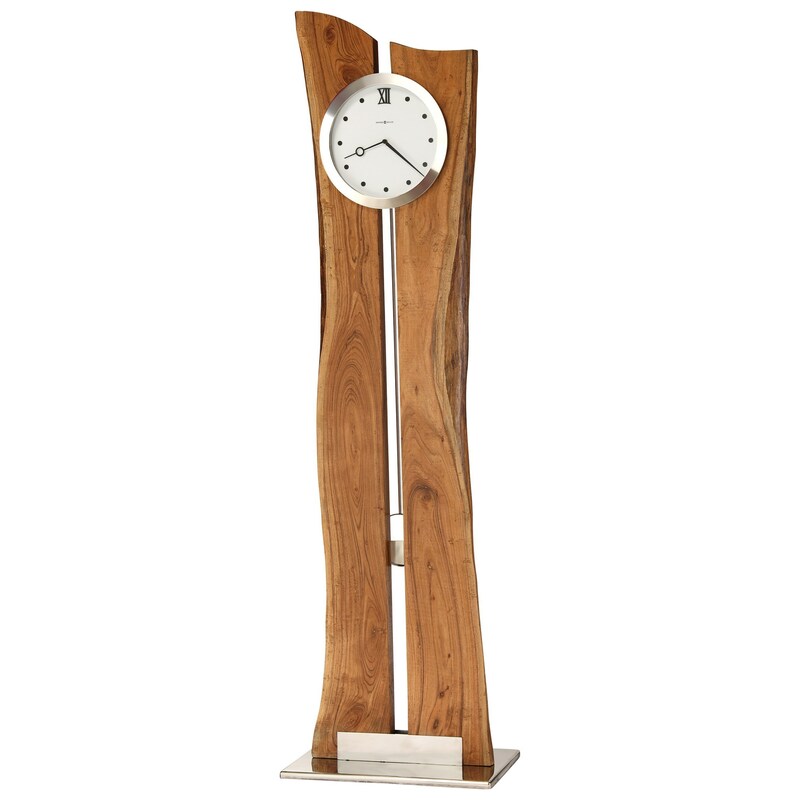 Each clock is one-of-a-kind due to the natural imperfections of the solid rustic Acacia hardwood slabs with knots, raw edges and machine marks. Handles & Hardware The modern white dial is suspended within two planks of rustic wood, which are supported by a polished nickel-finished base. The Clocks collection is a great option if you are looking for Contemporary Casual furniture in the Hawaii, Oahu, Hilo, Kona, Maui area.